This is a scary sight. 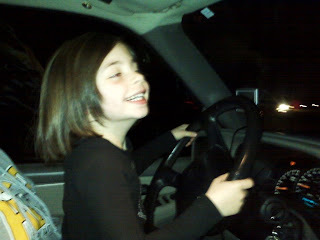 We get to the subdivision tonight after dinner and Marli hops into the driver's seat and took over. Scary now and will be scary in 10 years as well. This is the picture of the day.